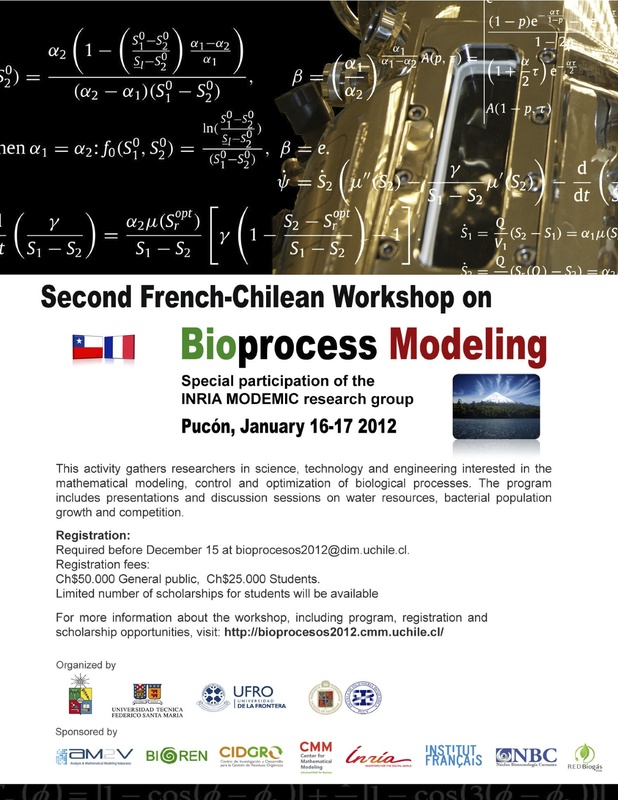 This workshop is the product of a fruitful cooperation between chilean and french researchers from different areas of engineering, including applied mathematics, biochemical engineering and automatic. We expect to promote a pleasant environment to consolidate existing collaborations and to start new projects about bioprocess modeling. This activity gathers research in science, technology and engineering interested in the mathematical modelling, control and optimization of biological processes. The program includes presentations and discussion sessions on water resources, bacterial population growth and competition.